Driving down a winding foggy stretch of road, I gripped the steering and blinked multiple times to get used to the sea of white around me. As the road dipped and curved, I slowed down and focused on the dividing yellow line to give me an idea of where I was on the road. The trees shimmered as they weaved in and out of my line of vision. The stop lights came into focus just as I was within 10 ft of them. Taking a turn into a deserted stretch, I relaxed and took in the beauty around me. 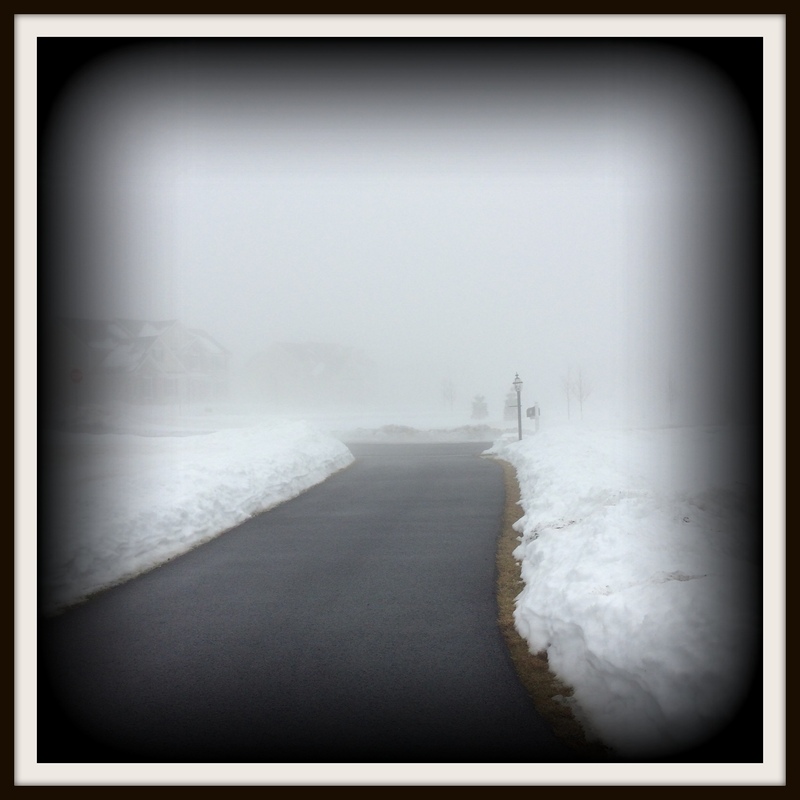 Aware there were no lights for a good while, I slowed down and watched as the snow and fog flirted along the sides. The car sliced through the nothingness and left behind it a wake of profound thoughts. If a simple thing like fog could play tricks with our eyes hiding concrete structures and objects I know are behind the screen, perhaps there is credence to Maya. The divine puppet show that am a player in. Is there any truth to what I see as material objects? What if everything is an illusion sliding behind screens once I am no longer part of the picture. Parking in my garage, I stepped out for a quick turn in the fog. I stretched my arms out to catch the wisps of white. I came up with nothing. For a minute, I gave into the magic, closed my eyes and visualised vanishing in a sea of fog. Previous Kalyana Samayal Saadham – Good fun!